The Tiny Human Deluxe Kit includes everything you need to successfully assemble the tiny skeleton model for display. 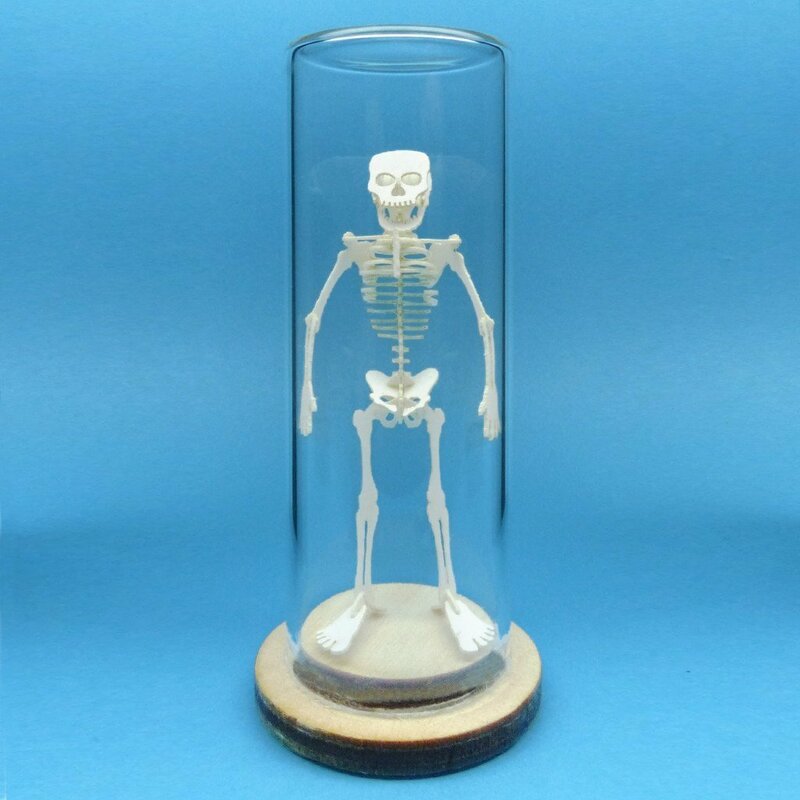 Each kit comes with the pre-cut Tiny Human bones, borosilicate glass display dome, exhibit base, glue, tweezers, and a magnifier. Tinysaur Kits assemble into tiny skeletons from a postage stamp sized laser cut pattern. Assembly generally takes 20-30 minutes and the completed Tiny Human models stand roughly 2 inches tall.